Palekastro is a small village located on the east coast of Crete, a few kilometers south of the famous Vai beach. Although nowadays most of its inhabitants are still living in agriculture, the attractive location close to the beaches and the growing popularity of the eastern region of Crete may soon change these proportions. Although this region is currently free from mass tourism and hotels offering all-inclusive vacations, individual tourists are more and more often coming here. It is worth remembering that so far, both Palekastro and other nearby towns are still not typical tourist resorts. So you will not find here the infrastructure characteristic of the tourist towns of the northern coast of Crete. You will find silence and peace, that is, the so-called true Crete and the kind and kind inhabitants. An additional attraction of this region is the large number of archaeological sites focused on a relatively small area. A short distance from Palekastro are excavations in Itanos, Kato Zakros, Roussolakos and many other smaller ones. Also you can not complain about the lack of beaches, because apart from the pebbles there are a lot of nice and sandy (Vai, Itanos, Chiona, Xerokambos). Particularly worth paying attention to these less popular beaches, because they are free from the tiring crowds that prevail on the well-known and popular Vai. This region of Crete will also like windsurfers, because the wide bay at the long Kouroumenos beach is a place where the blowing winds are especially conducive to this sport. 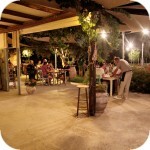 Palekastro and the surrounding villages are also worth visiting in search of local excellent products. Small local shops offer cheese, herbs, homemade preserves, delicious bread, fresh vegetables and fruits. The easiest way to get here is your own rental car. However, if you want or need to choose public transport, you can also take a KTEL bus here, because Palekastro has a direct connection to Sitia. Buses run quite rarely on weekdays, so when planning a trip it is necessary to check the departure times. By bus you will also reach Vai and Zakros. Just over 2 km from Palekastro, next to Chiona beach, there is a large archaeological site called Roussolakos, which is worth visiting in this region of Crete. The large distance in which it is located from popular towns (91 km from Agios Nikolaos) makes it easier to plan these ancient ruins to visit when you will have a base in the eastern parts of the island. The oldest traces found in this area indicate that people inhabited this region from the middle of the third millennium BC. However, the most important development of this place fell for later centuries. Although the original Minoan name of the settlement has not been known so far, then the name Roussolakos, meaning the red wastes, adhered to this place. It is easy to guess that the term comes from the red dust that covers this area. As the preserved inscription indicates later, it was probably the Greek settlement of Heleia. Previous discoveries reveal that the Minoan city, which was located here, was a dynamic shopping center, which over the years and needs grew. It is estimated that the city during its greatest magnificence was 50,000 square feet (4645 sq m). A characteristic feature of Minoan settlements was the lack of defensive walls. The city itself was quite compact, and the narrowly built houses were separated by narrow, mostly cobbled streets. Modern researchers have distinguished within its boundaries several parts, "districts", which they called the letters of the Greek alphabet. The types of buildings and functions were different. There are better and worse districts inhabited by richer inhabitants in more sumptuous homes and those belonging to poorer people. All separate parts of the city were centered around one street, four meters wide, which ran through the entire settlement and continued towards the coast. inteIt turns out that in the middle of this wide thoroughfare there was a place only for pedestrians located a little higher. The remaining urban streets that crossed them were no longer so impressive and wide, and their width ranged from 1.4 to 2.3 meters. The northern part of the largest quarter δελτα was inhabited by rich residents. Proof of this affluence were luxuriously equipped homes. What testifies to the high standard of buildings is the arrangement of columns and internal courtyards, thanks to which it was possible to bring spacious air and light into spacious houses. Such buildings were characteristic of the settlement at Roussolakos. Researchers have found this type of construction in a number of the largest houses in the city. They even gave them the name: Palaikastro Hall, and the largest with it counted as many as 22 well-equipped rooms. Additional elements of these houses were kitchens, stone water tanks, bathrooms, altars and oil storage. It is also worth emphasizing that the entire city, regardless of the wealth of the inhabitants of individual "districts", was sewered. The city was located in a very good agricultural area, thanks to which its inhabitants could deal not only in trade and shipping. The olive groves and fertile fields surrounding them favored farming and provided food for large populations. Among the cultivated cereals, barley dominated, whose grains were found in warehouses by archaeologists researching this area. The Minoans bred here also for the vines from which they produced wine. In some houses, stone presses for extracting olive oil and grape juice were found. The haven sheltered from the winds was an important factor in the commercial development of the city. Ships carrying various precious goods could safely enter the port. In addition, the waters surrounding this region were characterized by rich fisheries. The city also developed crafts, production of metal, stone and ivory products, most of which were imported raw materials. Pottery was also developed, and ceramic products made by Roussolakos residents were exported to other parts of Crete. Today, remnants and valuable artefacts such as amphorae, lamps and statuettes, which were excavated in Roussolakos, can be seen at the Archaeological Museum in Sitia. The sudden end of this expansive, rich Minoan city occurred around 1450 BC, exactly when other Minoan cities collapsed on Crete due to an unexpected and huge natural disaster. Archaeological work in Roussolakos was started by British archaeologists R. Bosanquet and RM Dawkins in 1902. They were then continued in 1906, after which the next round of work was started by Hugh Sackett and Mervyn Popham only after sixty years in 1962-1963. The next discovery of the remains of the settlement resumed after the next two decades in the 80s of the last century and then in 2004. And although the remains of the city were discovered in the early years of the twentieth century, archaeological work continues to this day. Such long breaks in archaeological works unfortunately hinder the task of subsequent archaeological teams. Excavations during this time overlap again with the ground, which covers the previously excavated fragments of the ancient city. Additional damage occurred here during World War II when the excavation site was not supervised. During this period, some of the surrounding residents used ancient stone building blocks for their own needs. An additional modern threat to the excavations and the whole area are plans to build a large hotel complex in the immediate vicinity of Roussolakos. One of the archeological curiosities of this place is that the oldest graves in Crete come from those around. The tombs were not plundered, the bones of the former inhabitants were found in them. Thanks to this, anthropologists could study the structure of the body of women and men from the Minoan period. Today, it is known that men measured on average 1.6 m, and women 1.5 m.
If these digs are on your list of places to visit, it is worth remembering that they are only open from 8.00 to 15.00. The position is closed on Mondays and holidays. The admission costs only 2 €. Due to the fact that this place is not very popular, generally there is no permanent ticket. He arrives here from nearby buildings, as soon as he spots a car approaching Roussolakos. The ruins of the ancient city of Lissos are located about 3.5 km from Sougia on the southern coast of Crete and about 70 km southwest of the city of Chania in the place where Agios Kirikos is currently located. Lissos is one of those places that can be reached either on foot over a part of the E4 route or a rented boat. Gortyna is considered one of the most extensive excavations in Greece. Currently, the ruins of the former capital of Crete occupy an area of ​​approximately 400 hectares. You must be aware, however, that what is shared with our eyes is still only a small part of the treasures that this part of Crete conceals.